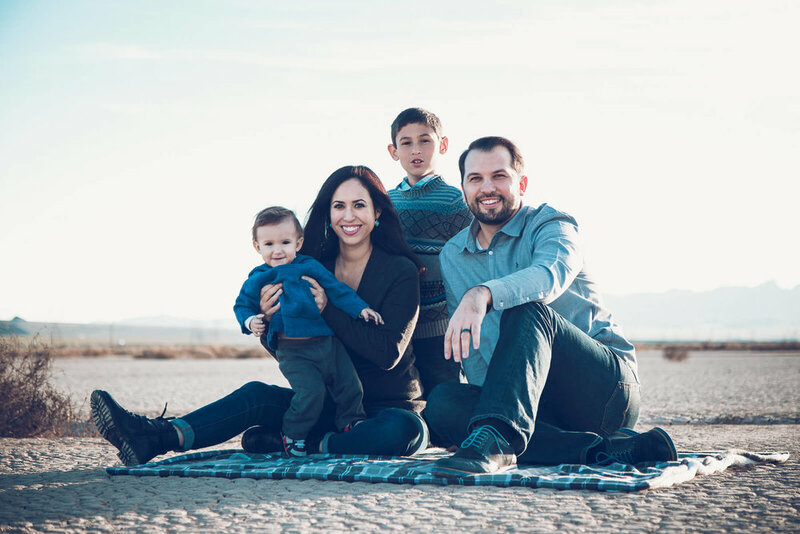 I had the pleasure of photographing another beautiful family this past weekend at the El Dorado dry lake bed out in Boulder City, NV. The Bailens are a happy little family and that happiness is shown through their genuine smiles. Their little man seemed to be fascinated by the desert landscape while big brother enjoyed running across the wide-open terrain as mom and dad watched proudly. As I was shooting, I could feel the love that this family has for each other.